another beautiful drawing David. very nice drapery and great shadow on the curtain. Thank you, Peter & Zina. It's a crop from a promo piece for the McCarter Theater, in Princeton, NJ. 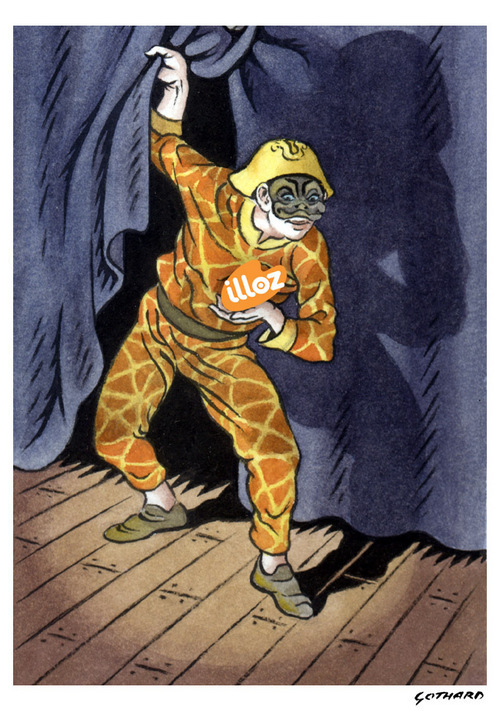 Is that illoz in Kabuki theater? How cool is that? Can't help but think what the people at the i-spot are thinking. And are they watching the coming storm? Oui, oui, Davide, very ni-i-ize... Ze harlequin is most appropriate salutation for ze wonderful how you call eet, illoz! Much good fortune to yew and colleagues there!